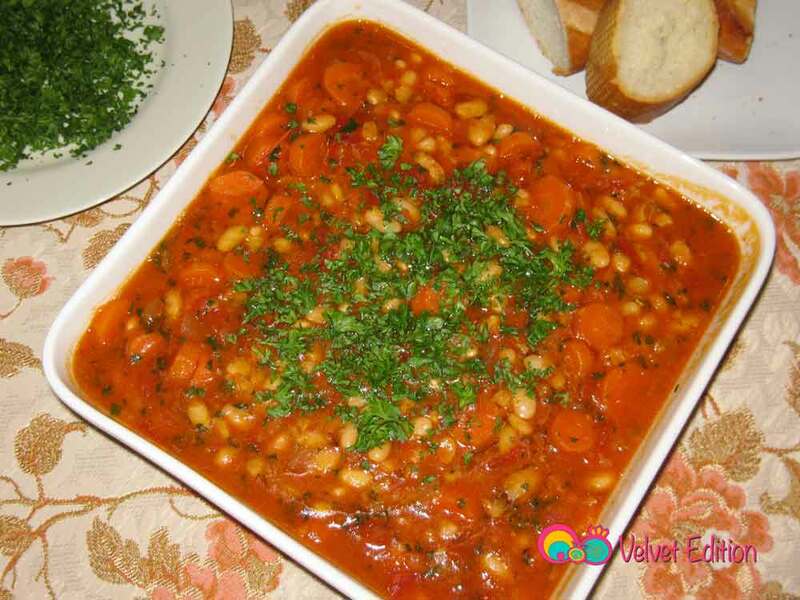 White beans plaki salad with carrots, onions and tomatoes is a popular Armenian salad very often made during the month of lent. 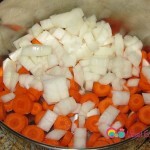 As the beans and carrots cook along with the onions, they become creamy in texture. 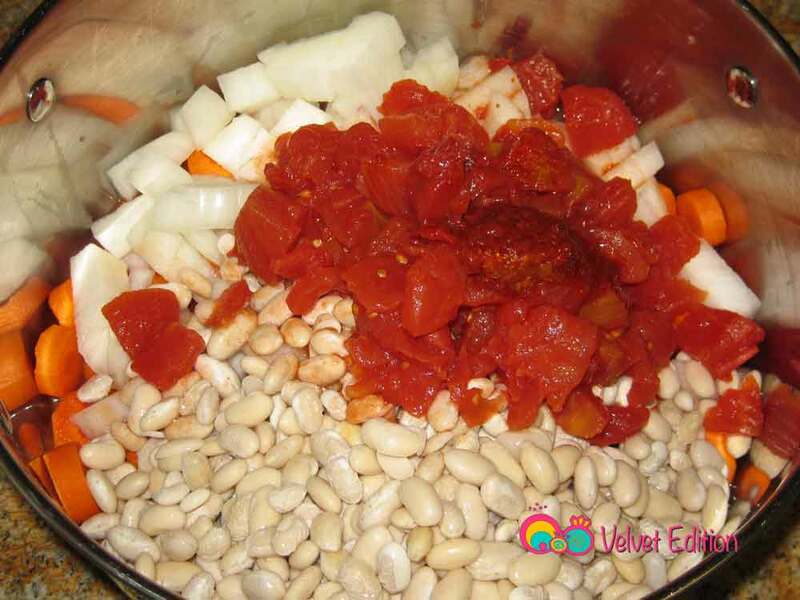 Serve this white bean plaki salad with a drizzle of olive oil and lots of parsley. 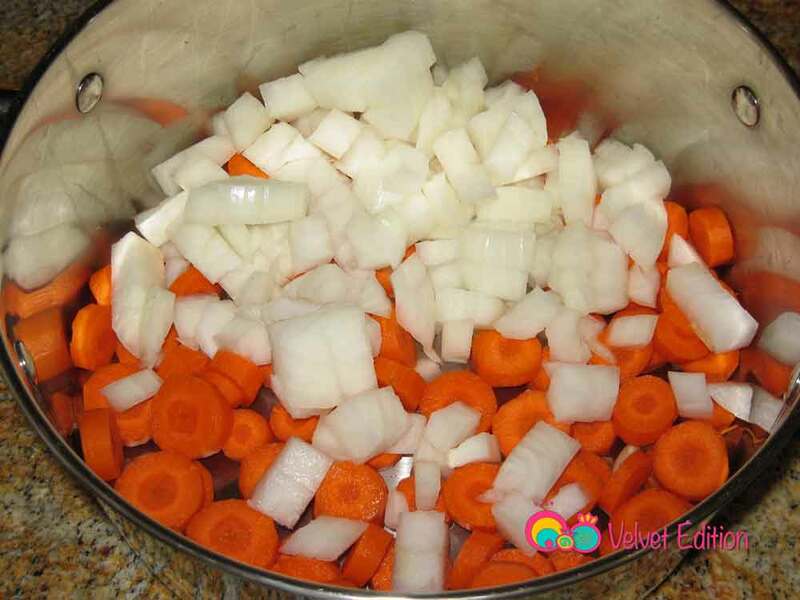 It’s best to serve this salad at room temperature. 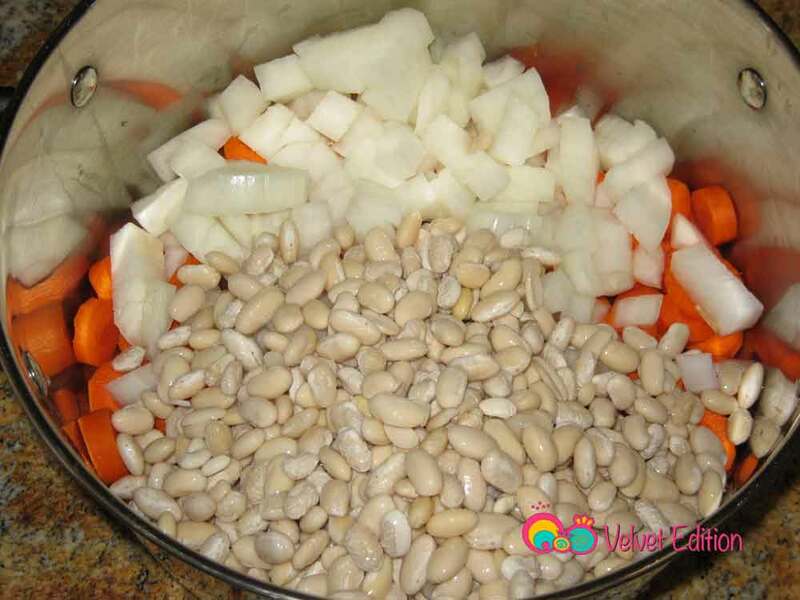 Soak the beans overnight in a large bowl. 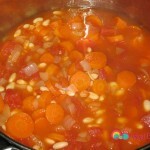 Add the beans to a 5 quart saucepan, fill with enough water to cover the beans. 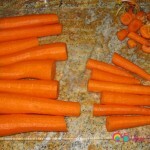 Cover and bring to a boil on high heat. 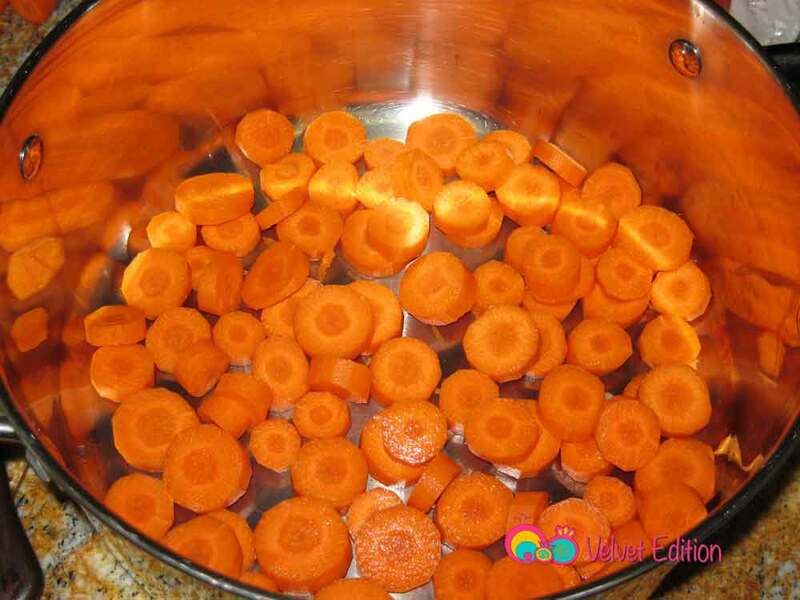 Fill another saucepan halfway with water and bring the water to a boil on high heat. Lower heat and keep the water warm on low heat. 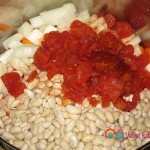 You will use this water to cook the beans with. 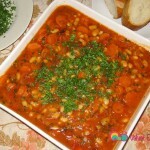 After boiling the beans for 5 minutes, drain in a colander. 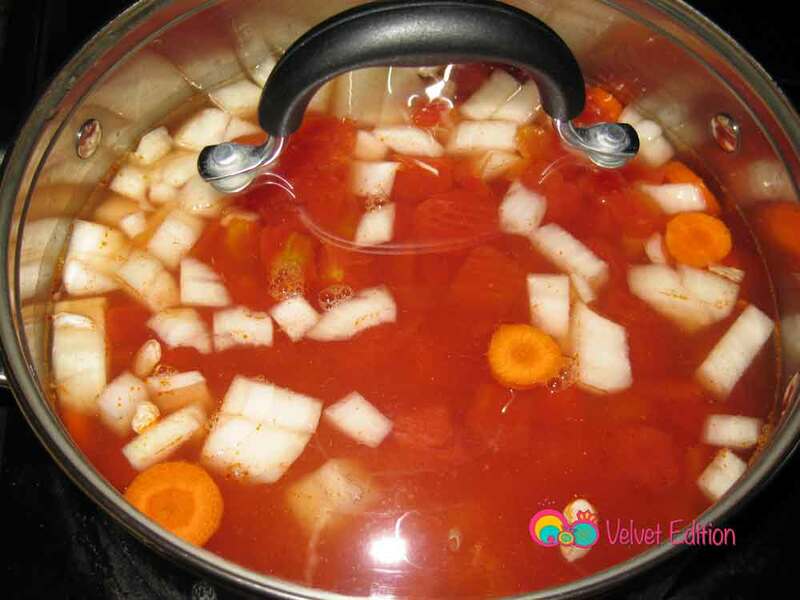 In the saucepan that you partially boiled the beans in, add the carrots, chopped onions, garlic cloves, tomatoes, tomato paste, pepper paste, seasonings and the reserved hot water to cover the beans by about 1 1/2 inches above. Cover and bring the content to a boil. Turn heat off, and add the olive oil and mix. Garnish with chopped parsley and serve at room temperature. 1. 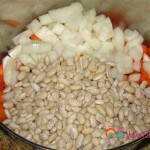 Some beans take longer to cook. 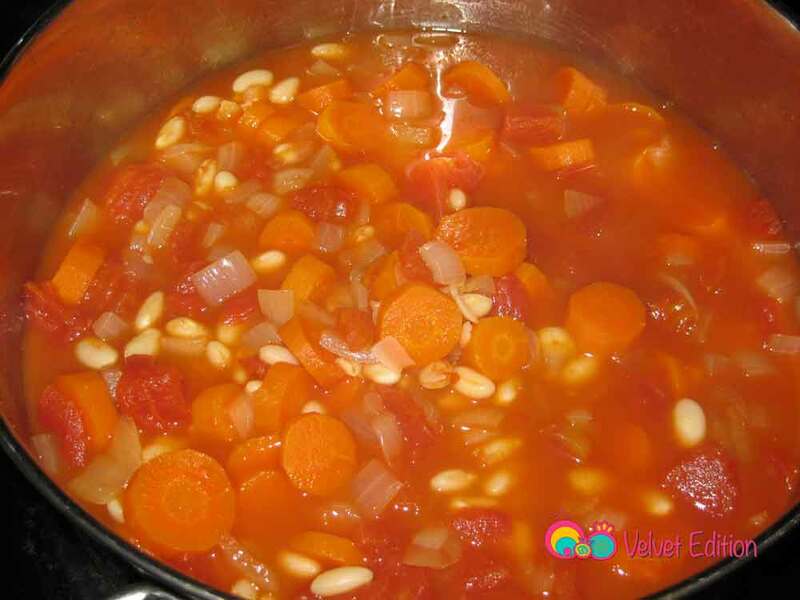 If you find that they need more cooking, but there's not enough liquid, add water as needed till the beans are fully cooked. 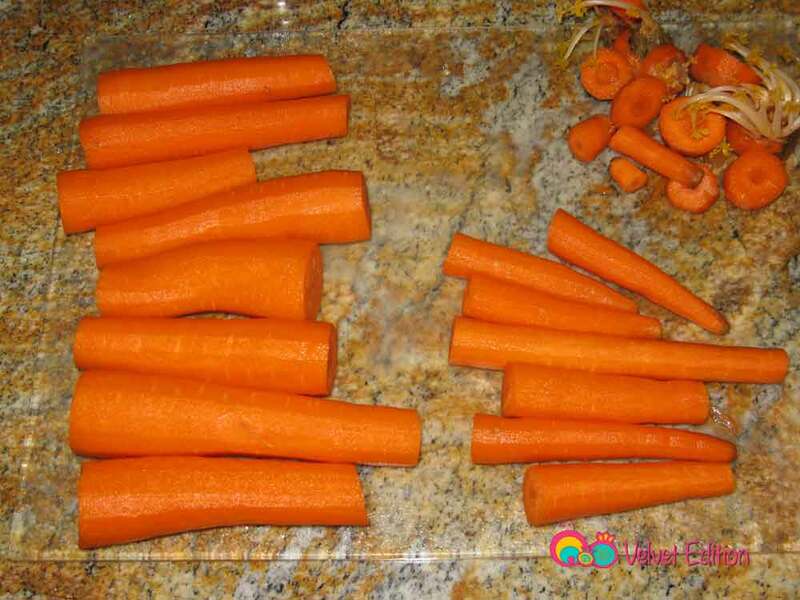 Peel and use 2/3 of the carrots. Do not use the thinner end. This way you’ll have the same size. 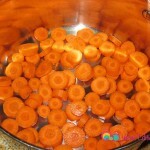 Cut the carrots in round shape, and add to pot. 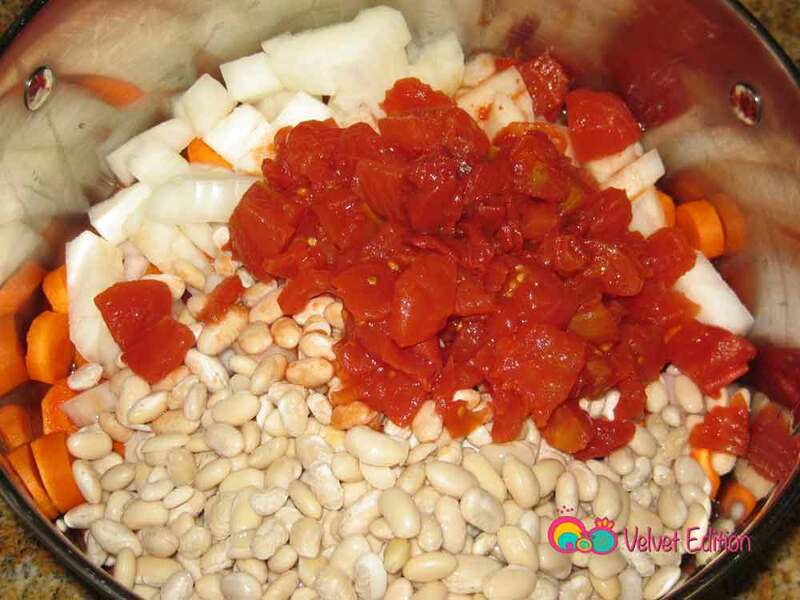 Add the partially boiled beans to the pot. 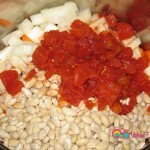 Add the tomato paste and the seasonings. 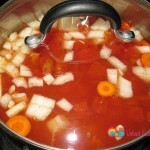 Add the water, cover and cook for about 30 minutes. Turn heat off and add olive oil. Classic Armenian plaki salad, drizzled with olive oil and garnished with parsley.